Jimmy Butler is headed to Philadelphia. Despite reports insisting the Sixers' interest in Jimmy Butler has picked up, sources who spoke to PhillyVoice insist the team's lukewarm stance on the Minnesota star has not changed despite Philadelphia's tough start. The Sixers came out of the gate looking worse than expected to start the 2018-19 season, and three losses to Boston, Toronto, and Milwaukee — short and long-term competitors for the Eastern Conference crown the Sixers are after — have inspired chatter about whether a big addition is needed right now. The Timberwolves remain stagnant in trade talks for Butler. While Houston, Miami and Philadelphia are among the teams struggling early that have an interest in Butler, there is a collective belief that Timberwolves president and coach Tom Thibodeau isn't ready to seriously negotiate a trade yet, league sources told ESPN's Adrian Wojnarowski. Sources familiar with the situation insist the Sixers' interest in Butler has been overstated relative to Minnesota's asking price. 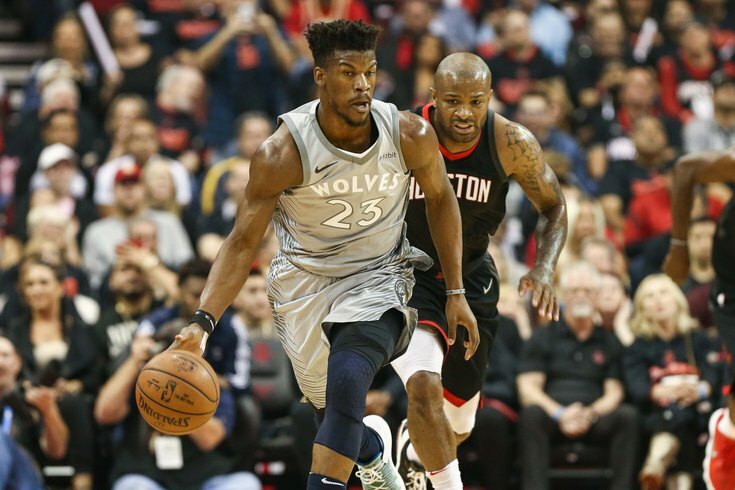 High-ranking members of the front office have noted Butler's clashing with the young pieces surrounding him in Minnesota, primarily Karl-Anthony Towns and Andrew Wiggins, and remain wary of introducing Butler's personality into a locker room and culture they have spent years building under head coach Brett Brown, as PhillyVoice reported in mid-September. More than one source insisted Minnesota's lack of progress on the Butler front, which Wojnarowski suggested in his report, was a direct cause of Philadelphia's name being floated in trade talks. The Sixers, if they eventually show major interest, are a good theoretical match for a Butler swap, possessing assets, cap space, and a desire to make a big acquisition to support Joel Embiid and Ben Simmons. In this instance, however, they appear gun shy to make a big commitment to acquire a player who is on the verge of demanding big money and comes with health, age-curve, and personality concerns attached. The possibility has not been ruled out entirely, but it would take a shift internally on Butler for the Sixers to become a serious threat to trade for him, sources said to PhillyVoice. It remains to be seen what would happen if the two sides come closer on what amounts to a reasonable asking price. Philadelphia's front office and ownership remain committed to (and confident in) their long-term vision, sources say, and a franchise-altering deal would not be the a result of the early-season swoon. They remain cognizant of how important the next nine months are for their franchise, and that the window for a franchise-altering acquisition is shrinking as they approach Simmons' eventual extension next year. On that front, the Sixers made another important decision on Wednesday afternoon, declining to pick up the third-year option on the contract of second-year wing Furkan Korkmaz. The move will make Korkmaz an unrestricted free agent next summer, and the Sixers will no longer be on the hook for his salary, which was set to be just over $2 million next season.